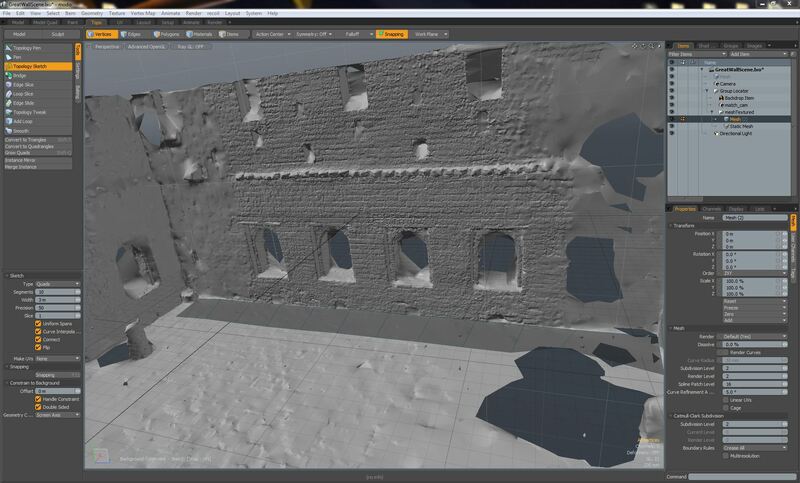 When creating scenes using Photogrammetry, it is very easy to solve very high density meshes in a very small area. 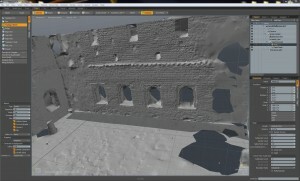 Previzion can render a large amount of polygons, but it is often unnecessary to have such a high poly count. 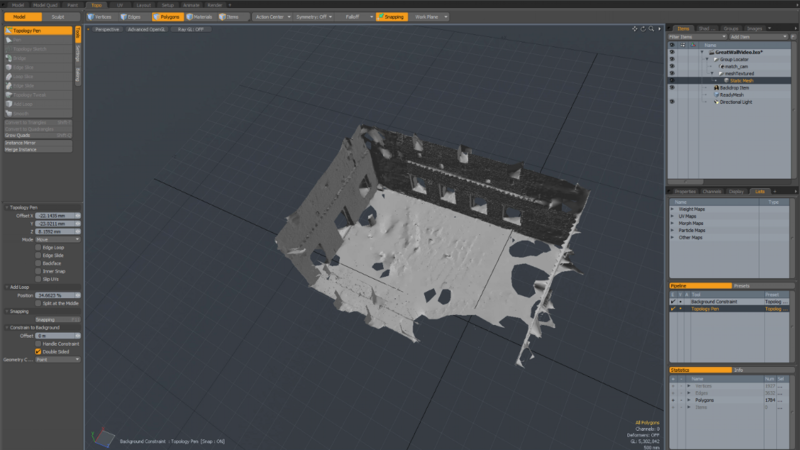 Using Modo you can retopologize a solved mesh with a 10 million polygon density down to under 200k. Start by making a new mesh, in the Items tab go to Add Item > Mesh. 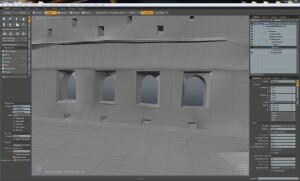 In the Topo tab first use the Topology Sketch tool to block out a stretch of geometry, like a large floor or wall. You can adjust the amount of divisions by raising or lowering the Segments in the tool parameters, and edit the width of the row by adjusting Width. 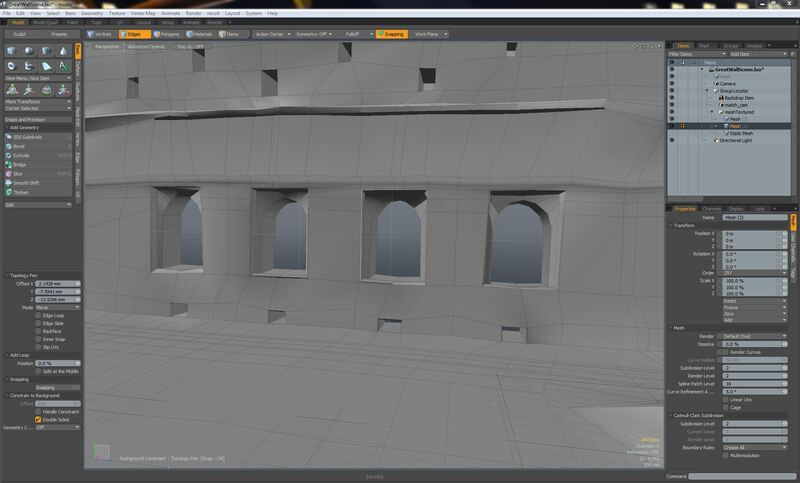 Use the Topology Pen to move the mesh around, add mesh, and move points around. Do this until you have a mesh that holds the major geometry from the original solve.